We present here the Original Report from George W. Meek edited for better use in the Internet. No content changes have been made. 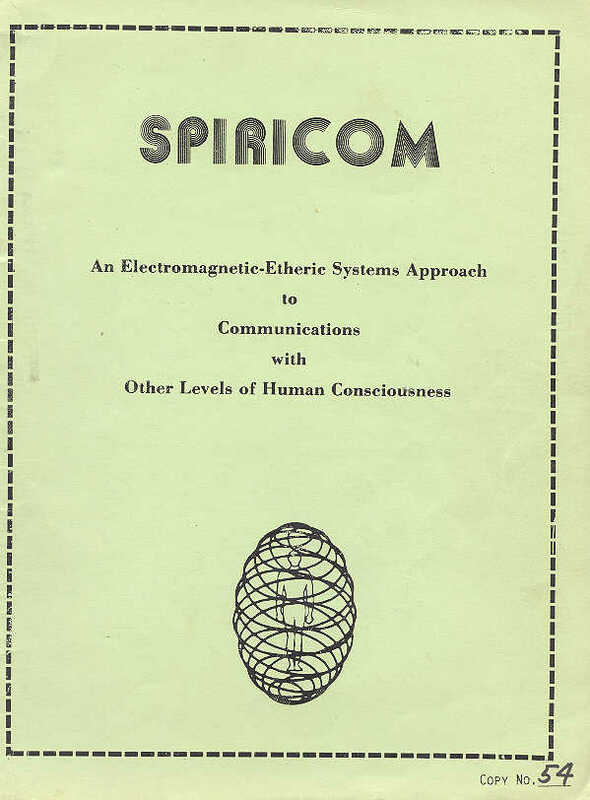 Please paste this inside the front cover of the SPIRICOM TECHNICAL MANUAL in your possession. Tens of thousands of hours spent over 25 years by hundreds of EVP (electronic voice phenomenon) researchers in Europe have clearly shown that some form of supplemental energy must be utilized to permit even individual words or short phrases to reach a level of audibility detectable even by a researcher with a highly acute sense of hearing. Eleven years of effort by 'Metascience researchers has established that the energies involved in the different levels of the worlds of spirit are not a part of the electromagnetic spectrum as science presently knows it. To have any chance of sensing or detecting such energies it is necessary to create some means of coupling the spirit energies to the devices at our disposal - transceivers, speakers, microphones, tape recorders, oscilloscopes, etc. Hence it seems that some form of transformer, coupler or transducer must be utilized to serve as an interface between the energies of the "dead" and the energies used in our electronic devices. Of the five different system design concepts explored by Metascience researchers, only one has so far resulted in prolonged, two-way, normal voice conversation. That system, which we call Mark IV , uses the energy input from 13 different audio tones in what seems to be a more effective and constant energy source than the miscellaneous energies used by EVP researchers past and present. It also seems to use the auric energy field of one of our technicians who is such an advanced psychic that his clairaudient and clairvoyant abilities have on occasion allowed him, to converse with and see the " dead " person. His energies have, on at least one occasion, been utilized in a full body materialization of a spirit form. To date, our only extensive two, way conversations have been obtained when this technician is present in the room in which the equipment is located. Because of the above fundamental factors, we caution that merely building equipment according to the diagram for Mark IV may result in a waste of effort and money unless there is some form of highly charged human energy field available for use in combination with the mixture of 13 audio tones. In an effort to eliminate the need of a human energy field, three other types of transducers are already being investigated by Metascience Foundation researchers - electrically activated quartz crystal utilizing ultraviolet light, living plants and the plasma of an open flame. These are outlined in Chapter 10. One of the principle reasons for releasing this technical manual now is to encourage you and other researchers throughout the world to use your inventive talents to explore and solve the many mysteries which still separate us from the desired quality of communication. To those who think it is strange that we are not currently in communication with the spirit world, we offer this analogy. Two bicycle mechanics, the Wright B r o s ., showed on December 17, 1903 that it was possible for Man to fly with a powered vehicle -- even though their flight lasted only 12 seconds and covered only 160 feet. The plane crashed and it was many months before they were able to make further demonstrations to a waiting world. Metascience researchers have shown that their primitive system succeeded in establishing actual voice communication with the so-called dead. We, like the Wright Bros. after their demonstration are not "flying". The impatient public will just have to wait until we or you learn more about the technique of such instrumental communication. To encourage as many other experimenters as possible to tackle the problem, is the reason we decided to share our experiences with all researchers around the world who might be interested. Metascience Foundation, Inc., Franklin, N. C.
to Metascience Foundation ,Inc. .
Pa., Consultant to Metascience Foundation, Inc.
Service, Inc., Ft. Myers, Florida, Consultant to Metascience Foundation, Inc. Consultant to Metascience Foundation, Inc.
Vol: III: After We Die, What Then? Manager, research and development center, Cannon Electrical, Co., Anaheim, Calif., 1962-1964. Chief of development and planning, Nortronics Division, Northrop Corp., Anaheim, Calif., 1960-1962. Senior staff member, Ramo-Wooldridge Division, Thompson Ramo Wooldridge, Inc., Canoga Park, Calif., 1959-1960. Director of engineering, technical products division, Packard Bell Electronics Corp., Los Angeles, Calif., 1956-1959. Chief, test support department, Ramo-Wooldridge Corp., Los Angeles, Calif., 1955- 1956. 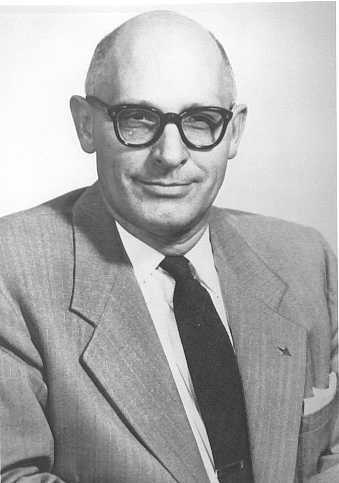 Consultant in engineering and physics, Douglas Aircraft Co., 1953-1955. Technical director, Dumont Labs, Inc., Los Angeles, Calif., 1952-1953. Supervisory physicist and chief, technical services division, Patrick Air Force Base, Fla., 1950-1952. Physicist and chief, research laboratory, Picatinny Arsenal, Dover, N.J., 1935-1950. Research fellow, Cornell University, Ithaca, N.Y., 1933-1935. Physics instructor, Cornell University, Ithaca, N.Y., 1931-1933. Physics teaching assistant, 'Cornell University, Ithaca, N.Y., 1929-1933. Mueller, George J. Introduction to Electronics, 1947. Also contributed to various professional journals in physics. Information Office, 315 Forest Rd., Athens, Ga. 30605. Phone 404 548-3349. All researchers affiliated with Metascience Foundation during the ten years of world-wide study of problems and potentials of electronic communication with the so-called "dead" have shared a common goal. They want the fruit of their labors and financial contributions to be made freely available to people of all races all over the world. We have not filed for any patents in any countries on the many inventions represented by the equipment presented herein. The material in this report has not been copyrighted. The name SPIRICOM has not been trademarked. But please note! Everything in the cosmos is energy of one sort or another, and although all energies can be used for good or for evil, it is our hope that the hundreds of individuals and organizations which will carry these developments forward in the decades ahead, will use them ONLY FOR THE GOOD OF ALL MANKIND. 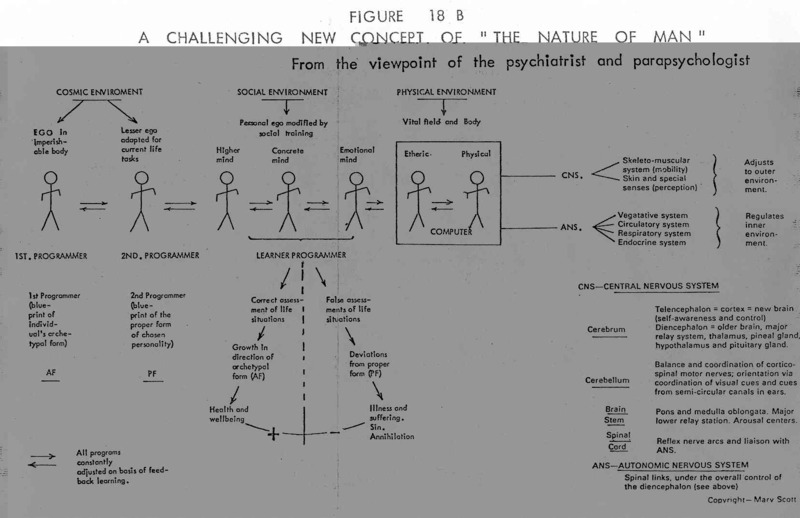 If any individuals acting alone or as part of a corporate entity endeavor to use these inventions solely for money-making purposes, or to the detriment of any person, they are herewith forewarned: They should know that the first stop for them, after they sooner or later shed their physical bodies, will be at the bottom of the Lowest Astral Plane - as described on the Metascience diagram entitled, "In Our Father's House There are Many Mansions." We are gradually waking up to the fact that our universe and all therein operates on an inexorable law of cause and effect. None can afford to scoff at the admonition, "As ye sow, so shall ye reap." And note carefully the contents of Chapter 13! who are dedicated to the ultimate perfection of a clear, static-free, dependable system for communication with those persons now living in the higher worlds of spirit who desire to bring enlightment to mankind.